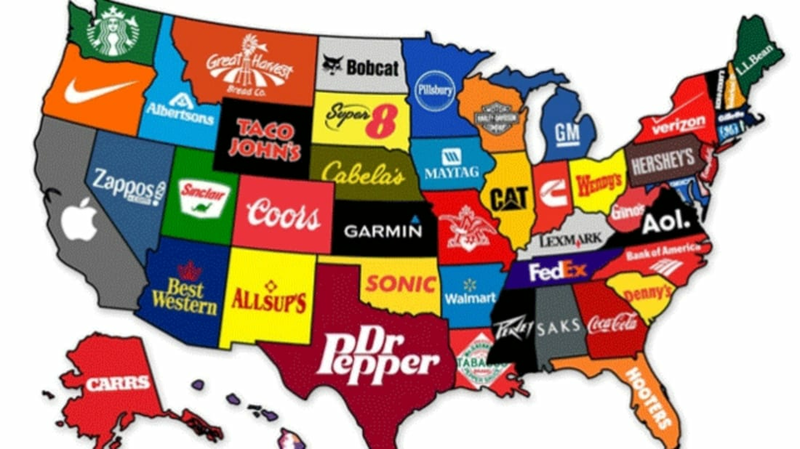 Today's map shows the corporation or brand that best represents each state. Designer Steve Lovelace explained his criteria: "In each case, I picked a brand that a) has ties to that state and b) is still in business." The Afternoon Map is a semi-regular feature in which we post maps and infographics. In the afternoon. Semi-regularly. Thanks to Steve Lovelace for letting us use this one. You can buy a framed print here.